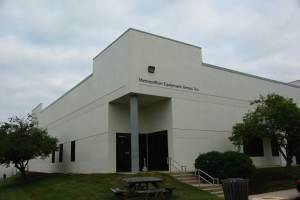 Metropolitan Equipment Group, Inc. was founded in 2003 and is a corporation formed from four successful companies in the Baltimore/Washington DC area. Those companies were L. M. Pond Company, Inc., Metropolitan Equipment Sales, Metropolitan Air Control Products, and Advance Building Solutions, Inc. We currently have 27 employees to serve the Washington DC, Baltimore and Richmond markets. We currently have expertise in two areas, which are critical environments (Pressurized Spaces) and Commercial HVAC applications. In 2009 we opened a 15,000 square foot warehouse facility. We are now able to better meet the needs of our customers with a large selection of our products in stock. Metropolitan Equipment Group (MEG) prides itself in being more than just a buy-resell firm like most product representative firms. We strive to use innovation and best practices to solve complex problems. Using industry leading products and our experience as tools of the trade we are fully capable of working with owners, consultants and contractors to identify HVAC solutions that meet and/or exceed the customer’s demands. Our goal in any project is to achieve balance between cost and effectiveness. By working with our clients to understand the intended use of a space, we are able to determine the driving factor. Combining our experience with cutting edge products we are capable of helping design the most innovative critical environments in the Mid-Atlantic. Although our world class products provide our customers with unmatched value, we feel what separates us for all others is our operational expertise. We have resident engineering, service, start-up and commissioning support personnel that can take a project from design to turnover. All of our operational personnel are factory trained. This is unique in the industry, as most factory trained support would come from the factory, which can be days or weeks away. Our support staff is local and can provide assistance quickly and efficiently. Whether its laboratory controls, commissioning, network integration, trouble shooting or exhaust systems, MEG has the experience to ensure a safe, energy efficient and low maintenance laboratory control system.